I print to a HP Laser and a Canon S9000 from my MAC, but I go through a Windows 7 server for both. Funky setup but there HP is a multi function and it was not possible to get the scanner working with the MAC, so I hooked it to the W7 machine and shared it to the MAC. I’ve been using Epson Stylus for a couple of yearw now. It’s very quick and easy copying/printing at home. The document printing and copies are excellent! I am very satisfied using it. This printer such a useful for Mac user as well as Apple and windows machines. In short it’s compatible with almost all “Personal Computer”. Really it’s look quite handy and worth buying, b’coz small printer & best options. Thanks for this info, i have been looking into getting one these. This should help when i make my decision. i’m using Epson Stylus for several years. and the condition is still okay. It’s a durable printer. The best printer for Mac – or any computer – is NO printer! I haven’t owned or had access to a printer in over a year and don’t miss it. Save paper, save trees, save ink, and SAVE MONEY! Stick to digital copies of everything. Agreed. I don’t have a use for a printer, however I do have a scanner. Any idea what the best scanner for mac is? I have been looking for reviews of good printers for my MacBook Pro. This article has helped me immensely. Thank you. I’m currently looking for a new printer and I’m open to suggestions. I would like one with a scanner and copier unit that can copy irregardless of the mac being on. What are some of the best mac compatible printers out there? Unfortunately, I had an Epson CX5400 that just crapped out on me. The horrible bit is I only ever used the first set of ink cartridges that came with it – as soon as I installed new cartridges, the printer started printing poorly, and now only prints out blank pages. I’ve checked the nozzles and cleaned the heads dozens of times. Subsequently I found out that there is a common defect where the wasted ink tubes get clogged, and that owners of this particular model have had to take apart the printer entirely to get at the hoses, use syringes full of cleaning fluid to unblock ink, etc., which I don’t have the time to do. It is appalling that Epson knows about this and never recalled the printer. Apparently because I’m an infrequent printer user and I’ve had this for over a year they refuse to fix it or replace it. What kind of company sells a printer that breaks after one change of an ink cartridge? I took very good care of this printer – their hardware standards and company ethics are embarrassing to say the least. I have an Epson CX7300 and the VERY SAME happened to me. Spent more sending it to customer service to get it unclogged than on the machine itself. I will NEVER buy an Epson again in my life. My experience with the Kodak ESP 7 is horrible. Which makes me doubt the recommendations offered here. Just my opinion and that of countless others ripped off by KODAK. over the weekend i discovered an app on my iphone for printing. It is called Print to PDF. It’s a great app for the iphone. Now anytime there is something that i want to save, i just print it to a pdf and i can access it whenever i need it. I can email that page or just open it. Great app, well worth a shot. Thank you for sharing this information. I was thinking of buying a new printer and the product that i had in my mind was exactly the same you mentioned…Canon Pixma iP100…thank you for the review..now i am more interested in buying this..
@Marty- Are you using outlook for mac or the mac mail for your mails? Does the scanning option work with the outlook, i.e if you are using outlook. I have been thinking of buying a printer but I am not sure what brand fits or what is best to use. This are great selections you have in here and is worth reading. For someone who is just a bit lost in looking for the right one sure will be very glad to stop by here. Thanks. Right now I have an HP InkJet printer and it works perfectly with my mac. I have never had a problem with printing, scanning, or anything. One thing that I don’t like is that it prints so slow, but that is true with a lot of inkjet printers. After reading this article, I will probably upgrade to the HP LaserJet CP1515n Color Laser. Thanks for the tips. I just saw your blog from last year. I have an old Epson C86 which was amazingly reliable and economical on the ink- only used genuine Epson…and suddenly yesterday experienced the same aggravation as you did with yours. The tech guy at Epson was clueless and even had the nerve to suggest that I sell the (probably defective) unused cartridges remaining in the combo pack that I just bought for $70 on eBay! But guess what- I went back to Staples where I bought the cartridges, told them what happened and got a full refund on the cartridges fr Staples (Epson wasn’t offering)!! It was a cheap printer so I didn’t cry but the moral is: buy your cartridges from a store like I did… Epson inks still are the best all around. Just took back my KodakESP2150. It set up just fine but after a few prints later it would not/could not find my Mac. Restarting the printer, restarting the computer every time is just not an option. I will steer clear of Kodak and check out purchasing a Canon. Nice list of best printers for mac. Though I use All in One for my mac. Glad to see the Epson all in one in that list. It is all I have ever used and have no complaints. Have been using an Epson Stylus happily with my old PC but quality of printing has dropped dramatically since getting an Imac. Have updated drivers , have tried assorted printer settings, no effect. Any suggestions? Good list. I have been using canon pixma for years and happy with it. It can be used with Windows PC and Mac os, very easy to set up. Have ownded Epson too but never Kodak. 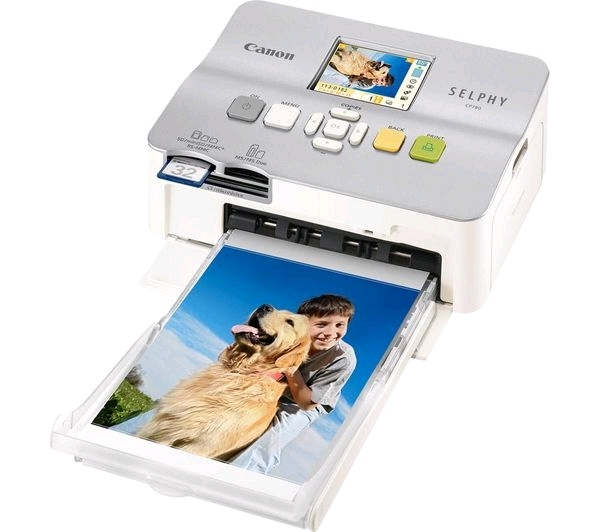 I haven’t a had a printer in years but have been planning on getting one solely to print documents and photos. I do agree that their use have been rather limited mostly to offices but since they are so affordable nowadays, there’s literally no excuse to grab one. Plus they can be connected wirelessly which is a big plus! I used Pixma, and it was advertised to be compatible with my tablet, but unfortunately it didn’t work. Switch to HP now, and it works great. Colored laser printers are great. Especially the all in one type. I usually recommend HP laser colored printers, although I’m not updated with the printers nowadays. Do you have any specific recommendations? That is very nice collection. Definitely it will add to Mac users experience. Parvinder recently posted… Top 5 ways to post Longer Tweets more than 140 characters. Kodak ESP7250 really is the best for price. I’ve been using one for awhile and would recommend. thanks for the info I wasn’t sure just which one O should get or options to consider. really helpful article as of now i like Canon MP560 for my mac book. thanks for sharing informative post. Surely the best printer for a Mac is the one which looks the best, as Apple Macs are sold (many of them are anyway) purely on design alone? I’ve been looking at printers and this information is very useful. I’m looking for a decent quality colour printer. there’s a big difference in costs . I don’t think there’s anything like ‘the best printer for mac’. It doesn’t print any different regardless of the platform. Unless they released some printers in aluminium casing. HP Laser Jet is the best one from all. The result is so great even if the ink is down. I have an Epson Stylus NX420. After about a year & a half & replacing the ink cartridges….it stopped working. In contacting Epson, it was suggested to purchase another printer as my warranty expired after a year of purchasing. Gosh, I haven’t had the printer for 2 years yet & I have to buy another printer for my Mac…bummer! I can tell you all for sure that HP Printers can get you the best quality prints when compared to any other printer in the world. That’s just my opinion though!! Great list ! Keep up the good work ! Mhh I have a Samsung CLP 325 laser printer and am really happy. What makes a “better” laser printer? Speed, quality and price I guess. I don’t know if it’s the same in the US, but here in the UK some of the ink refills for some printer manufacturers are crazy prices. For that reason alone I tend to stick to Epson printers.